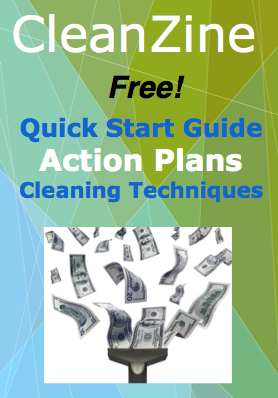 Start a janitorial service and start making an excellent living. As a full-time occupation or a part-time job to earn supplementary income, starting a janitorial service is a reliable way to make fabulous money. Earn $30 - $60 an hour on average part-time or full-time. Check it out if you're looking for an ideal home-based business that costs very little to start. An average monthly contract can be 2k- 3k+ per month. Commercial cleaning is always in demand and it is recession proof. Historically, it proves to be one of the best businesses to set up with little money. You can start out economically, cleaning small offices, and grow from there. Another benefit to this business is that you can learn as you go. When you start out with a small number of clients you can learn techniques on-the-job. Applying what you learn to your new jobs gives you valuable experience and makes you a better professional cleaner. Think of the numbers of offices in your town or city alone. Not all of these businesses are satisfied with their current cleaning service. Not all of them have even hired a cleaning service yet! Market your service to them all, then up-level your business from there. Do the work yourself or hire a crew. Be just as busy as you want to be. Grow your janitorial service startup into a multi-million dollar business in just a few years, or remain small and you can still easily earn over 100k a year. a business you can start while still working your day job? the flexibility to grow at the rate that is best suited for you? to start your own business without putting in years of re-education? Setting up your own commercial janitorial service is not as difficult as you may think. The trick is getting the contracts and finding the right clients for your preferred working style. One of the most beneficial things about being in the cleaning business industry is that you can easily tailor the structure of your business to fit your life style. If you want to work at night only, or in a specific industry or part of town, simply state your aims clearly on your website and on your fliers, and make it happen. It's truly empowering to be in charge of your income. Start a janitorial business and benefit from being your own boss. The cleaning profession has always been a solid business model. It will not change anytime soon. In fact, the cleaning service industry is growing faster than ever. Commercial cleaning startups have been consistently one of the most reliable startups in entrepreneurial history. No steep technical learning curves! Please feel free to explore our website and learn all about starting a janitorial service of your own.